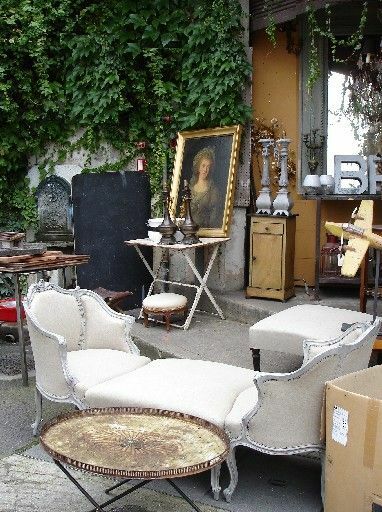 One of the most thrilling hunts you will ever go on is at a great flea market. There are so many amazing pieces that can go from drab to fab, and the sense of pride you get from turning an old run down piece into one of your fave pieces is simply priceless. The key to flea market find success? 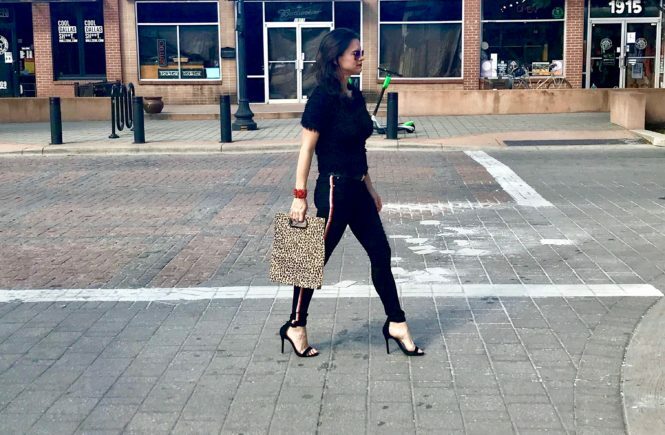 Invest in pieces that are unique and one of a kind that speak to you and your design style. Look for pieces that will make a statement in your room with your decor. Keep an open mind when going shopping at flea markets – most items have to be up cycled…nothing a little paint, elbow grease, and a creative imagination can’t fix! Flea markets are the perfect place for searching for a chest like this. 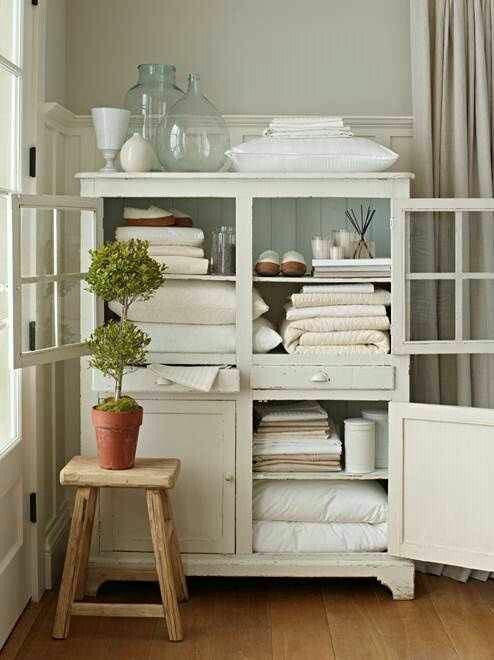 Use in your bathroom for towels and bathroom necessities or as a “linen closet” in a hallway. It’s antique looking giving off a super on trend vintage vibe that is very southern chic, and not to mention functional. 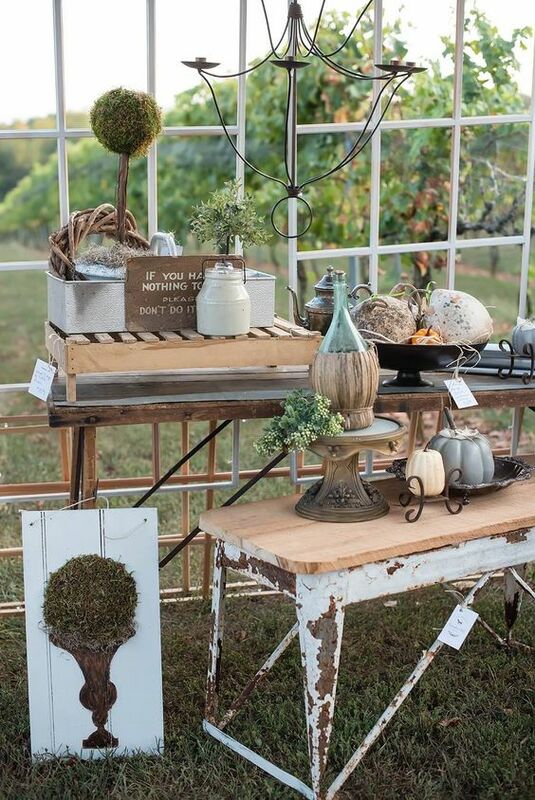 A coat of paint, new hardware, some jars, fresh linens and soaps, and voila!, you have a showstopper. Another great find at your local flea market are chairs! Whether you’re looking for dining room table chairs or an accent chair for your room, you’re most likely to find something at the flea market that will catch your eye. You will more than likely have to keep a creative vision on the lookout for something like this – recovering a chair is doable, or use a local re-upholsterer to help you transform your find. You can literally change the entire look of the piece with some imagination and chairs serve in so many functions, the possibilities are endless. 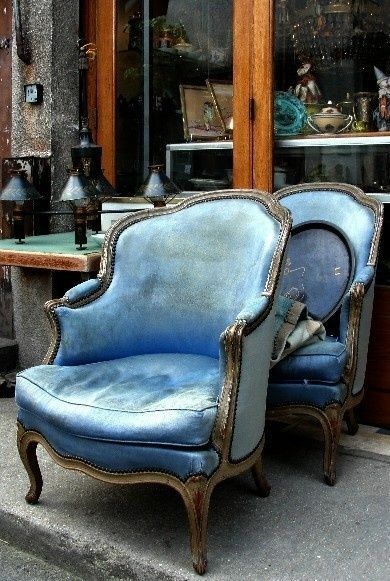 Be on the lookout for MAJOR statement pieces, like this chaise! A piece like this is super unique and can turn your space into one of a kind, simply wow! Bargaining can go along way at flea markets, too. Find what you love and get it for a great deal. 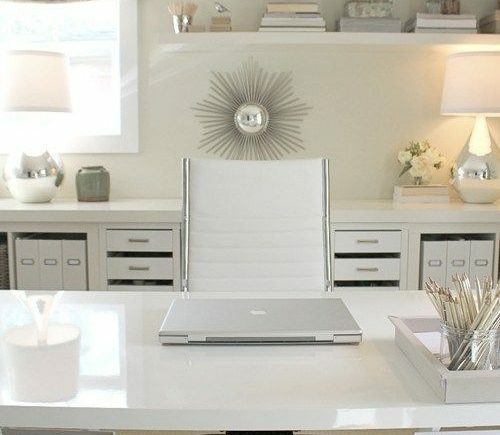 Turn it into something that is so unique you can make your entire room into something just by placing it in there. A game-changer if you will. 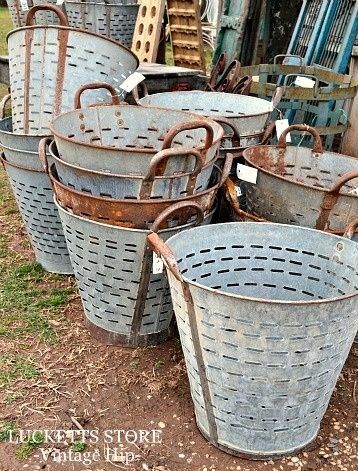 Find accent pieces you need like these metal tin buckets. They’re perfect for outdoor porches, bathrooms, or laundry rooms. A cost of spray paint in your favorite color instantly brightens your laundry room! You can’t go into a flea market and not find a window frame! The options with window frames are endless! Use as a decor piece to take the place of traditional artwork or, get creative and use it as an actual frame for a photo collage. Why not use an old window frame as a tabletop by adding a piece of tempered glass over the window itself after you lay it over a solid base, and let’s not forget to mention using it as a headboard rather than your more traditionally styled options. 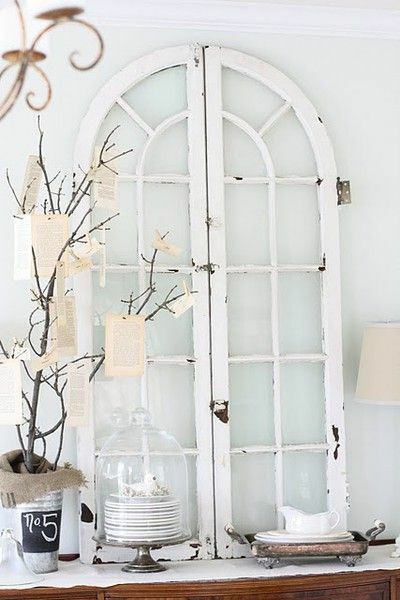 Antique window frames are chic and add a well-loved, inviting texture to your room. 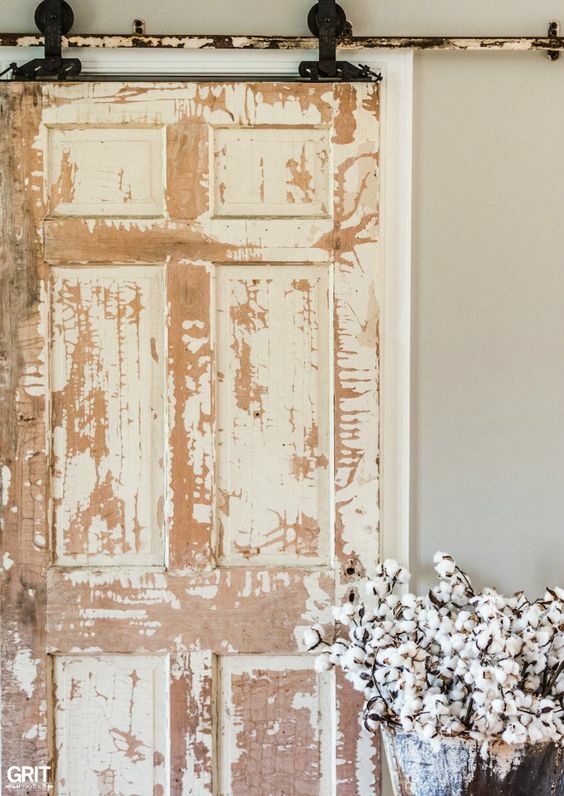 Along with window frames, you’re going to find antique doors of all different colors that are rustic and vintage looking. These can be used the same way as decor, a statement piece of art, repurposed as sliding door, or as a table top as well. It’s easy to find furniture like this hutch piece at flea markets, but not always as easy to remember that it probably didn’t. 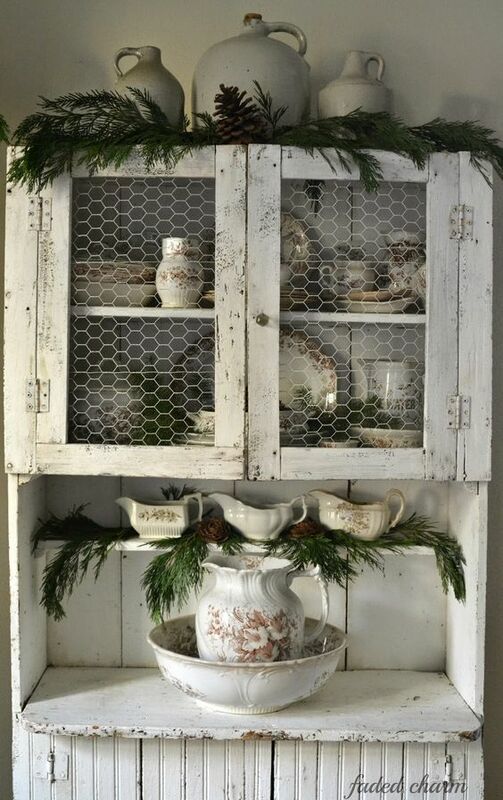 Look like this when it was spotted 🙂 With a little paint overhaul, chicken wire, and new hardware, it is truly a one of a kind piece you can’t pass up. Use something like this in your kitchen to hold dishwater and serveware that you love to see everyday. The most important rule when going flea market shopping is to keep an open mind. Most anything can be changed and re-vamped with a little thought and creative vision. Going with a friend to get a second opinion helps! Click below to see more before and after shots of flea market finds that are one of a kind.